Thursday night is the only night of the week, right now, where the major networks have any real programming options for those of us who prefer to watch dramatic programming rather than repeats and reality. REMINDER: Aquarius and Hannibal have been moved to Saturday nights by NBC. 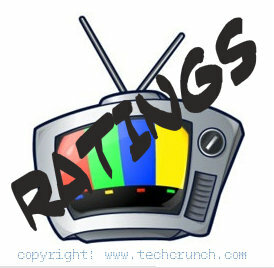 It was another relatively quiet night on the major networks at least where new episodes are concerned. While the cable networks are providing a plethora of new summer programming each night, the major networks aren’t (for the most part), but there was one new summer drama airing last night. Set in a farming town in Kansas, the film follows Libby Day (Charlize Theron from Mad Max: Fury Road), the only surviving witness of a horrific massacre that took her mother and sisters. Believing the slaughter to be the work of a Satanic cult, Libby testifies in court against her own brother. Twenty-five years after the murder, she remains haunted by the gruesome violence of her past when she meets a group of amateur investigators who call themselves “The Kill Club”. Looking to satisfy their morbid curiosity, the group begins their own inquiry about the case, believing Libby’s brother is innocent. In order to help them, Libby must unearth painful memories of the event and learn that her past may not be what it seems. The film also stars Christina Hendricks (Mad Men), Nicholas Hoult (X-Men franchise), Andrea Roth (Rescue Me), Chloe Grace Moretz (Stay and Carrie), Corey Stoll (Ant-Man and The Strain) and Drea de Matteo (The Sopranos). When four people – Reed Richards (Miles Teller from Whiplash), Johnny Storm (Michael B Jordan from Friday Night Lights), Susan Storm (Kate Mara from House of Cards) and Ben Grimm (Jamie Bell from Turn: Washington’s Spies) – teleport to an alternate universe, which alters their physical form and grants them new abilities, they must learn to harness their abilities and work together as a team to save the Earth from a familiar enemy. The film also stars Toby Kebbell (Dawn of the Planet of the Apes) as Victor von Doom and Reg E. Cathey (Grimm and Seven) as the father of Johnny and Susan. Ricki (Meryl Streep) chased her dreams of becoming a famous rock star by abandoning her family. She gets a last chance to put things right when her ex-husband Pete (Kevin Kline) asks her to visit Chicago and help their estranged, divorced daughter Julie (Mamie Gummer, Meryl’s real-life daughter) through a difficult time. The cast also includes Sebastian Stan (Captain America franchise), singer-actor Rick Springfield and Audra McDonald (Private Practice). The film chronicles the background history of the group N.W.A, its members and the dynamics of their relationships with each other, from the band’s inception, to growing success and stardom until the eventual disbanding. The film stars Jason Mitchell (Contraband) as Eazy-E, Corey Hawkins (Non-Stop) as Dr. Dre, newcomer O’Shea Jackson, Jr. as Ice Cube, Aldis Hodge (Leverage and Turn: Washington’s Spies) as MC Ren, Neil Brown, Jr. (Battle: Los Angeles) as DJ Yella as well as Paul Giamatti, Corey Reynolds (The Closer) and Alexandra Shipp (Aaliyah: The Princess of R&B). Set against the backdrop of the early 1960s period of the Cold War, The Man from U.N.C.L.E. (United Network Command for Law and Enforcement) centers on agents Napoleon Solo (Henry Cavill of Man of Steel) and Illya Kuryakin (Armie Hammer from The Lone Ranger). The two team up on a joint mission to stop a mysterious international criminal organization, which is bent on destabilizing the fragile balance of power through the proliferation of nuclear weapons and technology. The duo’s only lead is the daughter of a vanished German scientist, who is the key to infiltrating the criminal organization, and they must race against time to find her and prevent a worldwide catastrophe. The cast also includes Alicia Vikander (Ex Machina), Jared Harris (The Mortal Instruments) and Hugh Grant. The film follows the discovery of a bone and a gun which sends a husband and wife, each full of doubts about their future and anxiety about the present, on separate adventures over the course of a weekend. The film stars Jake Johnson (New Girl), Rosemarie DeWitt (United States of Tara), Orlando Bloom (The Lord of the Rings franchise), Brie Larson (21 Jump Street), Sam Rockwell (Moon), Anna Kendrick (Pitch Perfect), Sam Elliot (I’ll See You in My Dreams), Judith Light (Who’s the Boss), Ron Livingston (Boardwalk Empire), Melanie Lynskey (Sweet Home Alabama), Chris Messina (The Mindy Project), Jenny Slate (Obvious Child) and Jane Adams (Hung). Learning to Drive is about the unlikely friendship that develops between two very different New Yorkers. Wendy Shields (Patricia Clarkson from The Maze Runner) is a sharp-tongued author whose husband just left her, inspiring her to embrace her independence and learn how to drive. Her teacher, Darwan Singh Tur (Sir Ben Kingsley from Tut and Self/Less), is a gentle Indian cab driver with an impending arranged marriage. As Darwan teaches Wendy how to drive, they both learn valuable lessons about relationships, life, and the value of friendship. The cast includes Grace Gummer (Extant) and Jake Weber (Medium and Hell on Wheels). Based on the Hitman video games series and its main character, a mysterious assassin known only as Agent 47 (Rupert Friend from Homeland), who works for a top secret non-government organization called the International Contracts Agency, which carries out the assassinations of high profile targets worldwide. The film also stars Hannah Ware (Betrayal), Zachary Quinto (Star Trek and Heroes) and Ciaran Hinds (Phantom of the Opera and Game of Thrones). Cole (Zac Efron from The Lucky One), a 23-year-old DJ who struggles in the electronic dance music scene, has dreams of becoming a major record producer. Eventually, older DJ James (Wes Bentley from The Hunger Games) begins to mentor him, but Cole makes a connection with James’ girlfriend, Sophie (Emily Ratajkowski from Gone Girl). When Cole’s relationship with Sophie blossoms and his friendship with James begins to break down as a result, he is forced into difficult decisions over his future. The cast includes Jonny Weston (Project Almanac), Jon Bernthal (The Walking Dead), Vanessa Lengies (Glee), Shiloh Fernandez (Red Riding Hood) and Alicia Coppola (Jericho). In the wake of a disaster that wipes out most of civilization, two men and a young woman find themselves in an emotionally charged love triangle as the last known survivors. The film stars Chiwetel Ejiofor (12 Years a Slave), Margot Robbie (Focus and The Wolf of Wall Street) and Chris Pine (Star Trek). Movies coming out in September will be posted at the end of August. 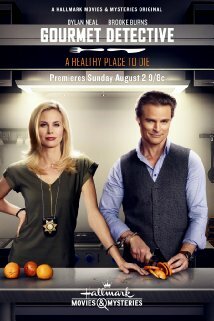 August 2, the new Hallmark Movies & Mysteries movie Gourmet Detective: A Healthy Place To Die will debut at 9 PM. When a journalist is found murdered during a gourmet food conference at a luxurious resort, chef-turned-sleuth Henry Ross (Dylan Neal from Cedar Cove) teams up with beautiful, no-nonsense police detective Maggie Price (Brooke Burns) to solve the culinary crime. Together, they work to untangle a web of mystery – involving the journalist, a movie star and high profile fixtures of the San Francisco restaurant scene – and solve the murder before the killer gets away. Here is a trailer for Gourmet Detective: A Healthy Place to Die.